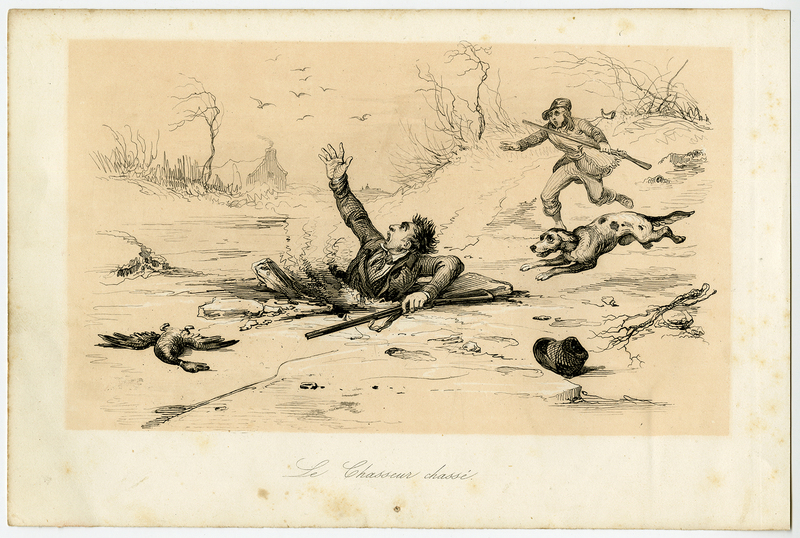 Subject: Antique print, titled: 'Le Chasseur Chasse. (The hunt hunter).' - a hunter falls through the ice.